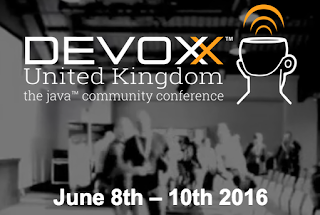 There will be another Devoxx in the United Kingdom this summer, June 8 - 10 and I have teamed up with Markus Eisele to put together a few sessions. The focus will be on helping developers getting to grips with their Cloud stack, the tools that will help and some of the interesting JBoss community work that is evolving to ease the work of application deployments. Be sure to register and hope to see you there? While application developers are getting a handle on the concepts of containers, PaaS and containerized deployments with Docker, they are yet forced to use a disjunct set of tooling navigate code-to-deployment workflows. What is available to help ease this transition from code, to Docker image and finally to containerized PaaS deployment? Let us show you how easy it is to super charge your Eclipse IDE with the Container Development Kit (CDK). Nothing will be the same as you leverage a single toolchain in your IDE to integrate, manage, deploy and ease the application development lifecycle from code to deployed containerized images. Application developers are constantly struggling to create enterprise solutions while deploying them across various environments to production, meet budgets, heed requirements and keep operations happy as they traverse new DevOps strategies. How can we assist them, remove infrastructure roadblocks, ease the deployment of containerized microservice-based applications and continue to monitor across enterprise infrastructures? The answer can be found in the Clouds with a containerized PaaS integrated with Wildly Swarm. The attendees will be taken on a tour, one that provides them with the ability to enable and awaken the Force within their current developer teams. Join us for an hour of power as we delve into OpenShift, containerized PaaS, Modularized Java EE with Wildly Swarm and the tooling that will enable your developers to go from source to images and containerized deployments as easy as jumps to light-speed.